In their paper entitled “A social cognitive approach to traditional media content and social media use: Selfie-related behavior as competitive strategy”, Stefanone, Yue and Toh examine Mass Media and selfies in the context of self worth based on competition. 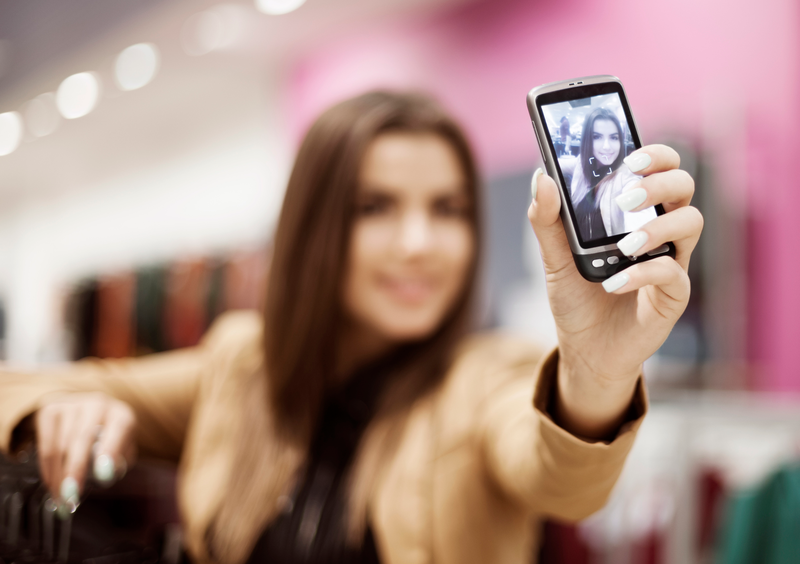 They propose that self worth based on online competition is reflected in the way selfies are taken on apps like Instagram, and Flickr where the term ‘selfie’ originated. The three authors cite research that a high number of selfies taken is psychologically linked to certain personality traits like narcissism. However, despite all the research on psychological aspects of the selfie, there is little research, they say, on selfies (and selfie-related behavior) and how they relate to consumption of mass media. In the first third of their paper, they point out that individuals who share a large number of selfies receive criticism. This criticism, in my mind, could come from a place of our rejection of certain kinds of competition, or even competition itself in such an obvious context, as many authors we read earlier this year like Hutcheon and Molina have pointed out that it is in fact in our biology and our social nature to be cooperative more so than competitive. It may be that we see others’ attempts at competing through selfies as useless, as the rewards being competed for (self esteem, exposure etc.) may be seen as not worth competing over by the general population. Additionally, the authors link viewing others’ selfies to envy, which may be another reason for the aforementioned backlash. Slightly later in the paper, the authors state that reality television often feels as if the emotional monologues are being delivered as if they are directly to the audience. This makes the viewer feel as if they are part of the action both consciously and subconsciously, relating to the notion of envy brought up earlier. This is because the kind of lifestyle portrayed in most reality tv shows is one that the viewers of the show may want to live. In this way, it becomes a personal fantasy where the viewer envies those in the show, unaware of the tribulations of their everyday life. Just like selfies, however, which are often filtered and taken in a way that makes their subject appear generally more attractive or more aesthetically pleasing than they are in real life, reality television portrays an almost mythologized version of real life where even fights or emotional trauma are portrayed in a highly cinematic manner, with the audience being made to feel as if they are connected to the action but still ensuring that any actual emotional damage suffered by those whose lives the show catalogues isn’t experienced by the audience. The authors of the paper did go into a bit of detail about this, but one thing they did not mention was how we, as an online culture, in our Western “idiolect” of internet etiquette, often also mythologize and sensationalize sad posts in a way that doesn’t cooperatively create empathy in the hearts of others but rather competitively seeks attention and clicks. Sad posts on Facebook, Twitter, Instagram etc. are much like both reality television and selfies in this way. Furthermore, Stefanone, Yue and Toh found in their study that a larger audience and/or network of viewers often leads to more editing of selfies. In other words, it seems as if the more people we know are going to see a selfie, the more removed from reality we make said selfie. Participants in their study were driven to edit the appearance of selfies as a competitive way of maintaining relationships, referred to by Stefanone, Yue and Toh as “strong and weak ties”. This notion, when combined with people who get more views having an increased rate of selfie editing indicates that people who heavily edit their selfies may in fact believe that their online relationships are authentic or are at least worth putting in the effort to take a perfect photo to maintain. This is despite the fact that, at least theoretically, the selfie poster knows that the people liking their posts are emotionally removed from them. Selfies will always involve relinquishing a certain amount of personal privacy as Ty_Daler_Sign points out, but because people with more followers tend to edit their selfies more, I would argue that those posting many selfies are in fact giving up less personal privacy than those who post less selfies as a whole. This is because when one edits selfies a huge amount, the person being portrayed in the selfie can become utterly unrecognizable from the real person. People can and often do change their hair color, waistline, smile, and even eye color, not to mention personality or emotional ‘vibe’, to the point where they have crafted an image that in a sense isn’t even them anymore. Thus, from an online safety point of view, I believe it’s actually safer to be more competitive with ones selfies as when one crafts a fake image, even their true, every-day appearance can, in a sense, be unintentionally masked, though not entirely. Personally, I would connect this to many of the half masks worn in the masquerade parties of yore, where a person’s general face shape could still be ascertained but the true appearance of the person was left partially to imagination. Selfies also, in my opinion, reflect a culture of applying makeup for various reasons going back centuries. Like selfies being more edited with more engagement, people who know they are going to be seen by more people will often apply more makeup, though not always, in contexts like galas, movie sets etc while with their friends and people they trust they may not want to wear makeup at all. Snapchat, then, as the authors suggest, because of the brief nature of its pictures’ viewing time (usually only a few seconds), serves as a method for sending selfies that are generally less edited to closer relationships, as one can only maintain a certain number of streaks. I found the paper very fascinating as it dealt with two topics we all come into contact with almost daily in an academic sense. With the increasing prevalence of computer generated faces, we may start to see instagram accounts where “selfies” are in fact simply computer generated and do not at all reflect the appearance of those posting them. Further afield in the future, we may even see “reality” television shows with completely computer generated characters meant to look as flawless and attractive as possible. These are just a few of the possible implications of our modern selfie culture within mass media.